The Trustees of Scenic Virginia request the pleasure of your company at a Gala Reception celebrating the 20th Anniversary of Scenic Virginia and honoring actor and conservationist Robert Duvall as the first U.S. recipient of The Richmonds Medal. We are honored to host special guests HRH Prince Richard, The Duke of Gloucester and The Lord Watson of Richmond CBE FRTS. Click here to visit our event webpage. Scenic Virginia was founded in 1998 by conservationist Hylah H. Boyd of Richmond to give our Commonwealth’s extraordinary scenic resources a passionate yet reasoned voice with elected officials and citizens. Twenty years later, Scenic Virginia is recognized as the premier statewide advocate dedicated to preserving, protecting, and enhancing this incredible scenic beauty. As part of this year’s 20th Anniversary celebration, Scenic Virginia is presenting The Richmonds Medal to noted actor and preservationist Robert Duvall. The Medal — an international award given jointly with the Thames Landscape Strategy, based in Richmond upon Thames, England — recognizes exceptional contributions to scenic preservation and showcases the value of such efforts. The Medal’s name is inspired by the strikingly similar river views of the Thames and the James shared by the two Richmonds. The Richmonds Medal’s founder is The Lord Watson of Richmond CBE: FRTS, with whom Scenic Virginia has worked for many years. The Thames Landscape Strategy celebrated its 20th Anniversary in 2014 with a Gala Reception at Hampton Court Palace with Scenic Virginia representatives in attendance (see photo above). 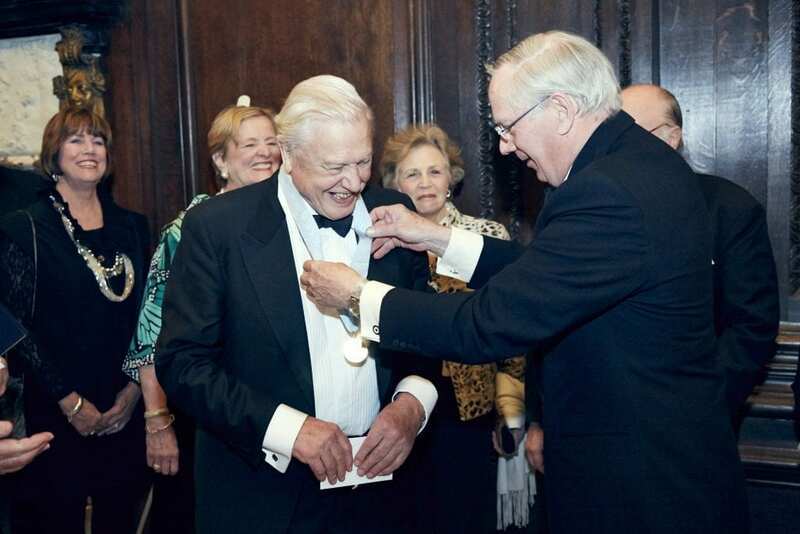 The Patron of the Thames Landscape Strategy, HRH Prince Richard, The Duke of Gloucester, presented the inaugural Richmonds Medal to beloved British broadcaster and naturalist Sir David Attenborough. Scenic Virginia is extremely honored that HRH will again present The Richmonds Medal in 2018.